But…then there is my studio. I do have more odds and ends in here than anywhere else in the house, but I keep it contained and regularly clean it out. I'm not really a sentimental person and I don't like clutter. This isn't to say I don't have clutter... because let's be real... but I don't like to let it sit around for long. Generally every method of organization style need boundaries and rules. Here is what I mean. If you are a book lover you own a book case. The book case is your boundary. The rule is that all of your books have to fit within the limits of the case. You can stack them in there any way you choose and even on top, but once you've reached capacity if you want to add one more books in there you have to choose to part with 1. These rules apply to every part of your house, keeping in mind the 20/80 rule is helpful too. We all only use 20% of 80% of what we own anyway. So there are 2 types of boundaries. Large make up the bins, shelves, drawers. Small make up the dividers, holders, jars, tins. All of storage is either white or clear because it keeps the look cohesive and easy to find. I get asked about these white bins the very most, they are from Target (where all good things come from). When I saw they were on clearance I bought 12 small and 4 large ones. They fit on my metro rack just right and have lids so they stack! 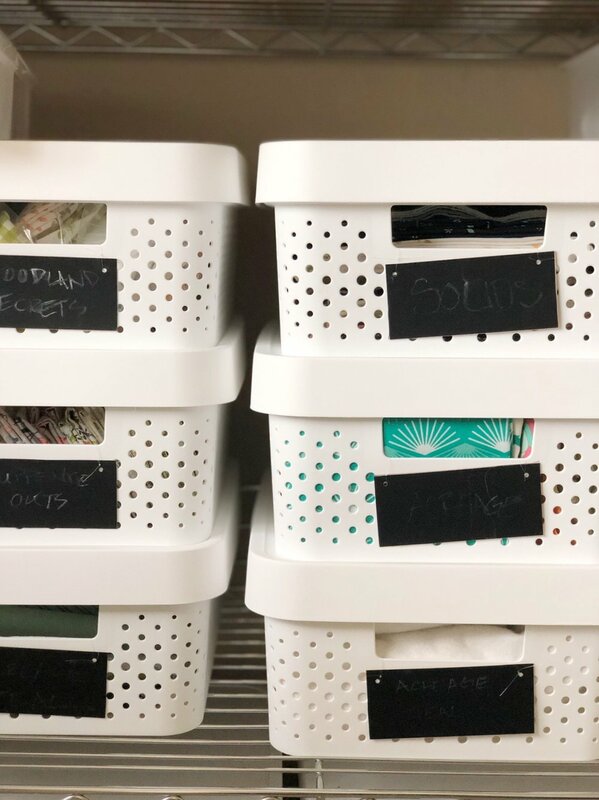 Clear shoe box size storage bins from Costco with chalkboard labels so I can change the name of the contents everytime I reorganize. Similar bins here I found on Amazon. You can find the labels at any craft store. In the closet there are 3 of these storage drawers from Micheals these are similar. yet again these can easily be renamed as needed. They aren’t my favorite, mostly because they aren’t well built but they’ve help up through several of our moves so I guess they’ll do. The granddaddy of them all are metro racks. Metro racks can be steel or aluminum and they can be split in half to fit into closets. We have used them in every house, in every configuration, indoor and out. I LOVE these things. 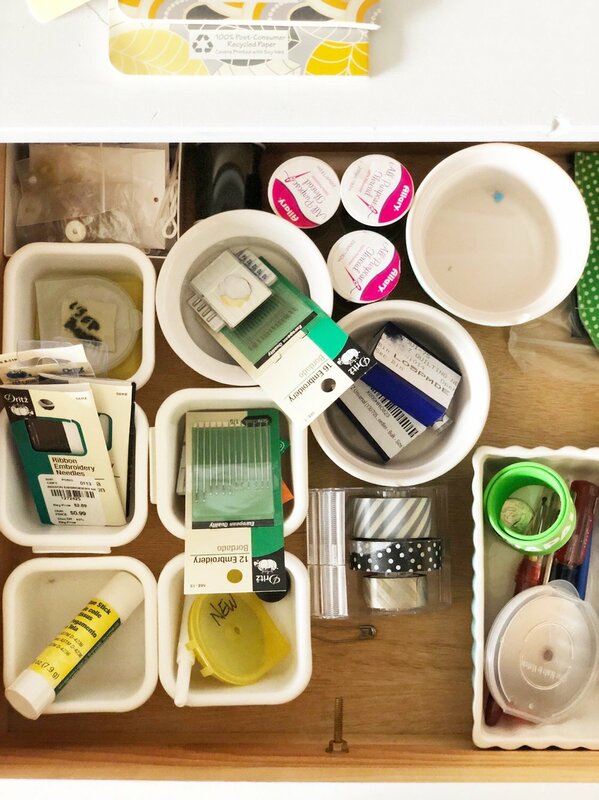 Drawer dividers. My favorite are these clear acrylic ones. But, before I was posh enough to afford them I made them out of cardboard or better yet white foam core. You can also use a kitchen utensil divider. Acrylic pen holders I started out with 2 and ended up buying 6 to hold everything.